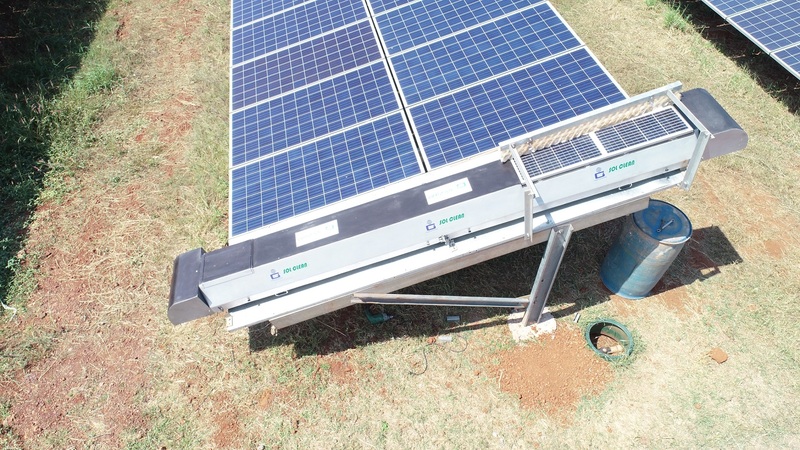 Our autonomous dry cleaning solution prevents dust accumulation on solar panels recovering losses of up to 6% in energy generation. Sol Clean™ is tested to remove 99% of the soiling pollution on PV panels. Sol Clean™ can travel up to a distance of 1500 metres and can be customized based on table configuration. Integrated technology allows scheduled cleaning for any time of day using remote computer system which allows for wireless control and monitoring. Self-powered cleaner comes with separate docking station so there are no shadows cast on the panels. Sol Clean™ can run on module frames to minimize installation cost.Guaranteed fixed operational costs over the lifetime of your plant and a comprehensive AMC to maintain routine upkeep of parts.